As we count down the days until Carnival’s newest cruise ship arrives we have even more photos to show you. 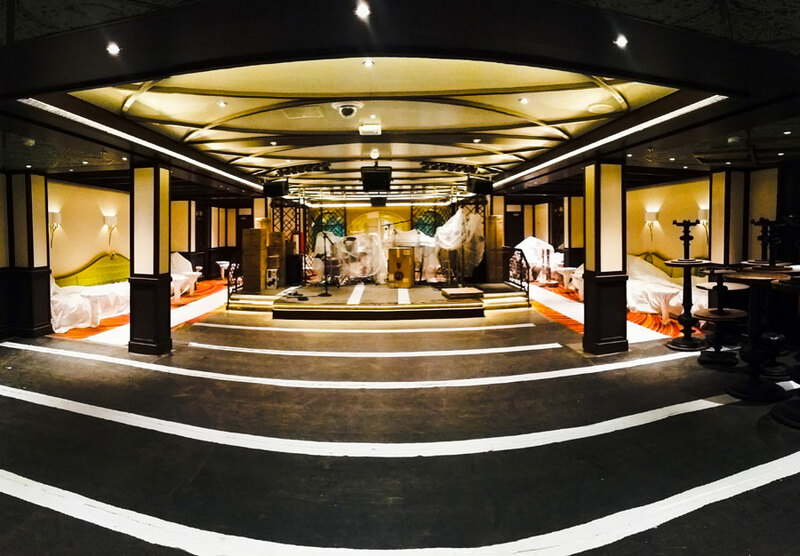 Take a sneak peek from inside Carnival Horizon while docked at the Fincantieri Monfalcone shipyard in Italy. 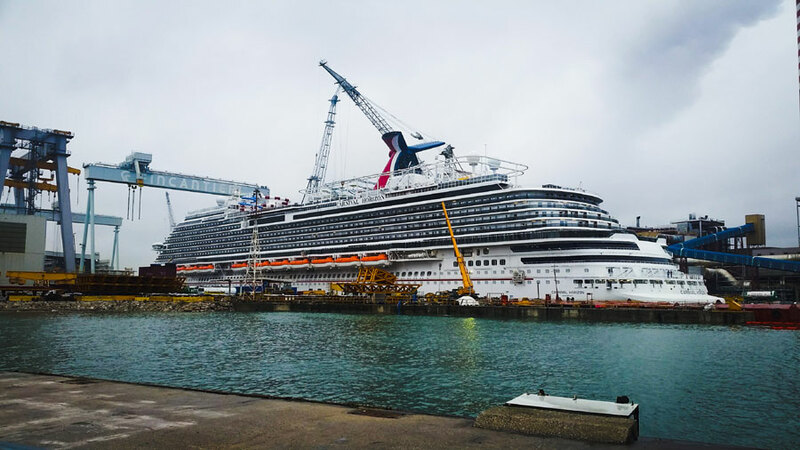 We’ll start by just letting you know that Carnival Horizon which is the sister ship to Carnival Vista is currently docked at the Fincantieri Monfalcone shipyard in Italy. It was at the Marghera yard but transferred last week for some further work. Down below you can view a batch of the very latest photos from onboard while the final touches are being done by workers and contractors. Up to 1,000 crew members are also onboard preparing the ship for passenger operations. The main Atrium looks pretty much finished, all they need to do is switch on the LED sculpture which will show stunning creative effects night and day. Once the vessel is in service this will become a popular location and full of guests. We’ve got two shots of Cherry on Top, a store where guests can find their favorite snacks, candy, and chocolate. 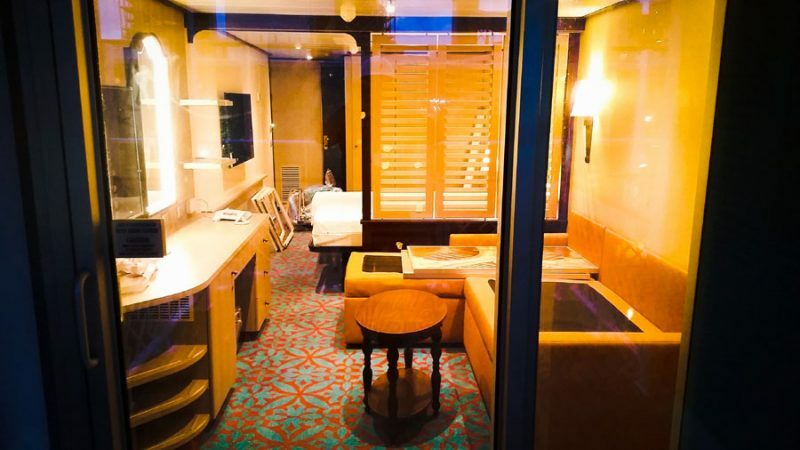 Orders for special occasions during the voyage can also be arranged here. 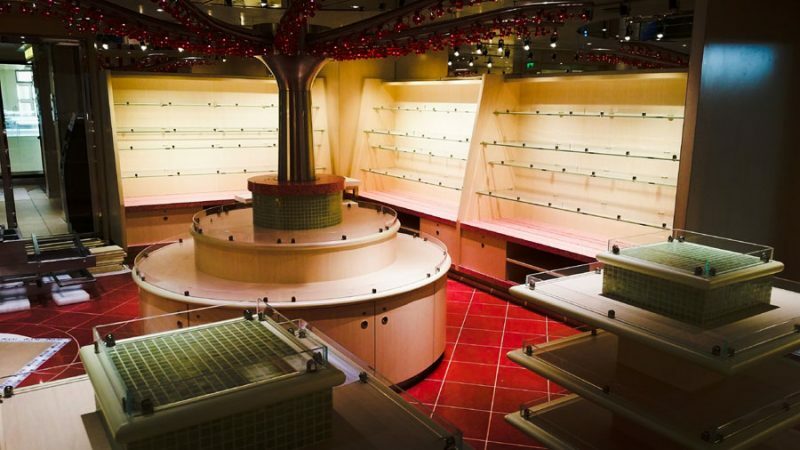 Another photo of some empty shelves inside Carnival Horizon’s Cherry on Top. Next up is the Havana Bar, here is the entrance to this unique area only on Vista class cruise ships. And here is the Havana Bar, an area where guests can chill with a cocktail surrounded by Cuban inspired decor. 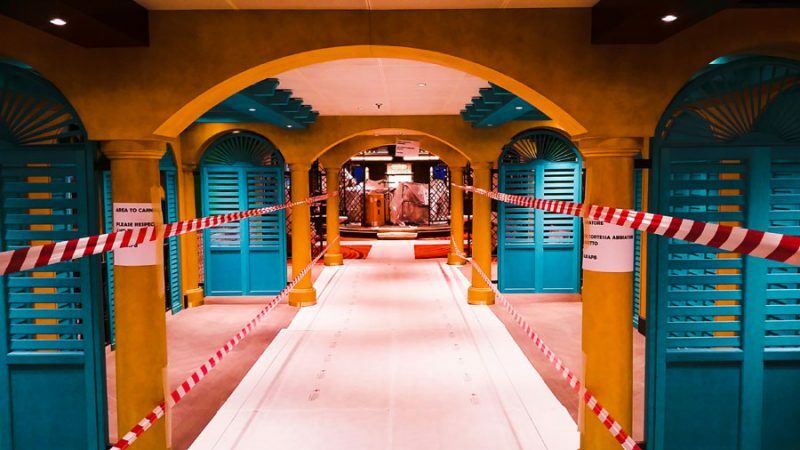 This will be the place where guests can show off their Salsa moves too! 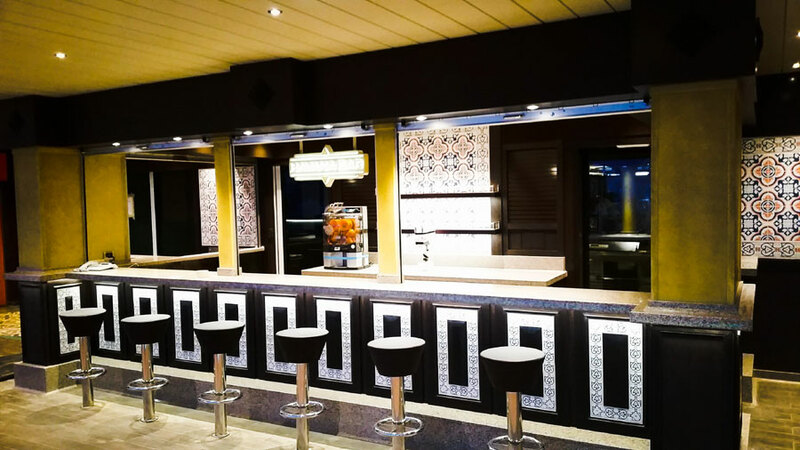 Here is another view of the actual bar which can be used anytime for those Carnival Horizon guests in Havana cabins. When guests keep walking through they’ll come to the Havana Pool aft, just behind the Havana bar. A place to cool off away from the other busy pools, especially on sea days! 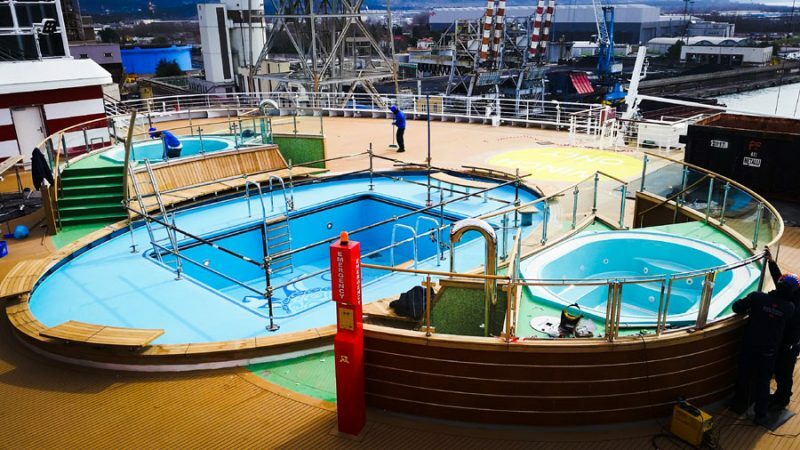 While we’re on the topic of pools here is the one located on deck 10 aft. Workers can be seen what looks like a clean up as the ship prepares for completion. Here is the terrace for one of the Havana cabins. Once complete there will be an area to relax. While on the topic, this is a view looking into one of the havan Cabins from the terrace. Looks very nice with a touch of Cuban style! A view from inside the Gift Shops. 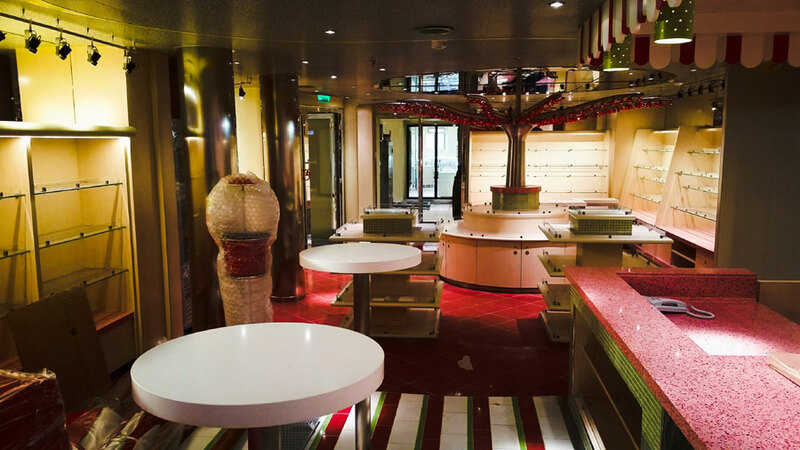 This will be a very busy place onboard once Carnival Horizon begins cruising. No stock just yet so expect the staff to be working like crazy over the coming days to get everything full in time. 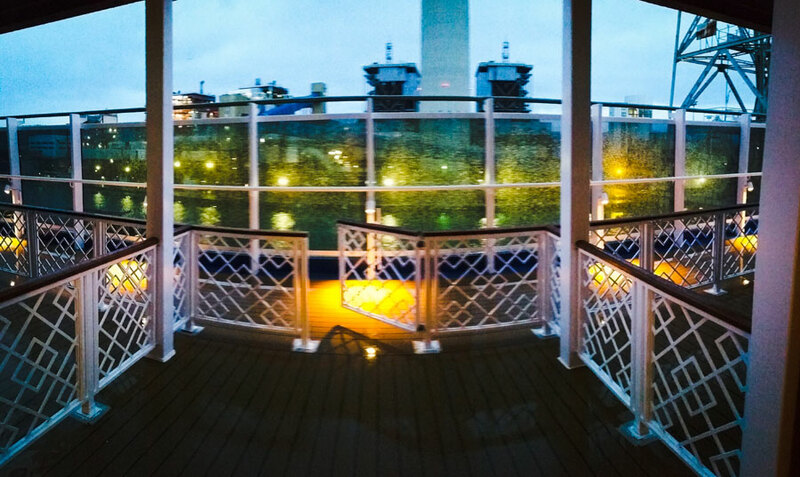 And we’re finishing up with a stunning view from aft of the Carnival Horizon. Just across the way, we can see Costa Venezia which is being purpose-built for the Chinese market. In the far distance on the other side of the yard is the MSC Seaview, click here for details about that ship. Cruise Hive readers can look forward to more updates from Carnival Horizon while at the shipyard. 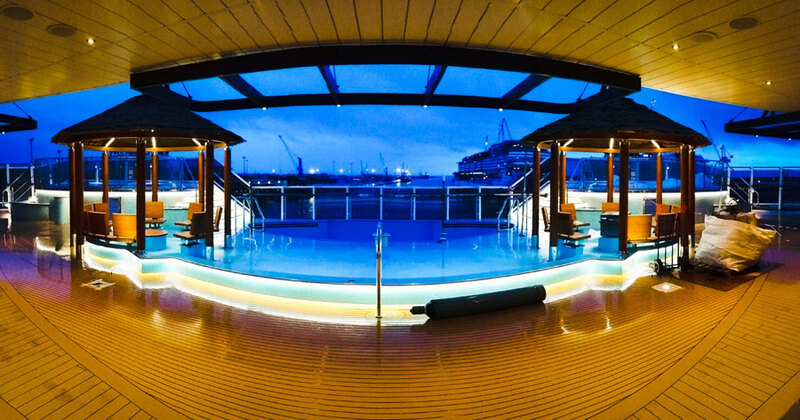 Carnival’s newest cruise ship will debut on April 2 from Barcelona, Spain. 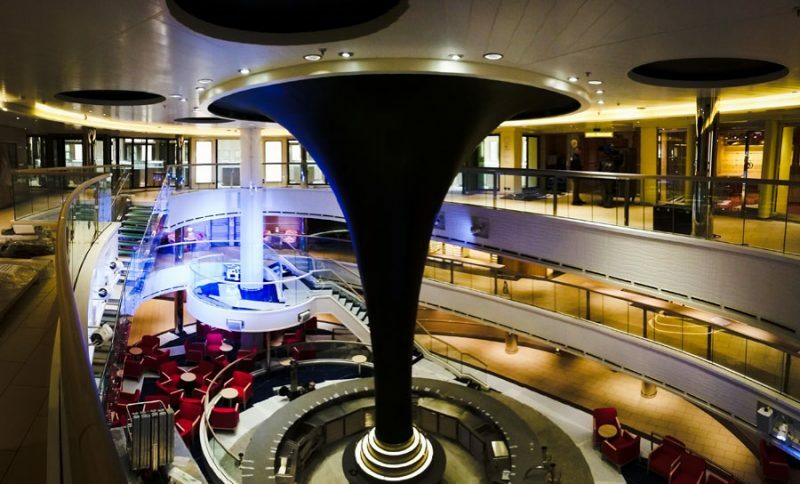 Read more about Carnival Horizon itineraries here as there are lots to look forward to. The ship 133,500 gross tons and will be carrying 3,936 guests.